I was at first interested in Stephen Heilman’s March 17 column, which seemed to be going somewhere but devolved into just another Right Wing harangue against the political Left. Heilman spends seven paragraphs relating how it was for him at Nevada Union in 1968, which actually sounded similar in many ways to what we have now (“… bullied, taunted, harassed, intimidated … prejudiced, irreverent, foul mouthed, short tempered and disrespectful…”). Ah, the good old days. Sure sounds like fun. Heilman’s point is that, even with all this acting out, we had “no school shootings.” Well, that’s actually not quite true. A short walk through Wikipedia reveals that there have been plenty of school shootings throughout our history, dating at least to 1840. Must be something in the air, I guess. Or just that old frontier mentality that makes our country the most violent among industrialized nations (widely substantiated by statistics). Until we take stock of this violent aspect of our national ethos, it’s doubtful that any true change can occur. Now the problem has become an epidemic, and responsible parties need to adopt a reasonable stance to be taken seriously. It’s true that no one political entity is responsible for this scourge (including the NRA). However, it’s also true that the unconscionable resistance of the NRA to even the most moderate proposals has been a major factor in limiting the necessary dialogue and delaying the adoption of common sense gun control. For the good of our country, this must change. One thing for sure though — the cause of the epidemic is not the fault of any one political party or organization. And laying the blame at the feet of a specific group can only freeze the discussion, and delays the implementation of effective solutions. Regarding our young folks, I doubt that kids are, in essence, that much different today than in 1968. Of course, there’s a whole lot that truly is different now. For example, there’s the rampant proliferation of firearms (47 million in U.S. in 1945, 347 million today). Add to this the ever-increasing tragedies of drug addiction and broken families, let alone the economic traumas savaging our middle and under-privileged classes, and there’s plenty of blame to go around. Surely, there are many factors that account for this maniacal surge of shootings (in schools and elsewhere). But that is a subject for a different, and more serious, investigation into just what those causes are and what remedies are needed. Hmmm, I wonder when sensitivity, diversity, anti-bullying and tolerance stopped being Christian values. Better be careful here. If we throw in some really seditious stuff like compassion, liberty and justice, our entire Republic might be brought to its knees. In bringing religion into political arguments, folks on the Radical Right reveal themselves to be “Old Testament Christians.” This is, of course an impossibility because, to Christians, Christ fulfilled the Old Testament and gave us the “good news” in his life, words, actions and death. But this never stops some from trying to co-op Christianity into a distorted view of what Jesus Christ stood for. There’s a good reason our Constitution limits the imposition of religion into the realm of political governance. We hear a lot about things like “the law,” discipline and self-control from the Radical Right, but precious little about love, tolerance and generosity. And woe to anyone who dares to tout these New Testament values, for they shall be deemed “liberal,” and thus a scourge to all nations. Oh please, the credo of the Radical Right seems to not be love your neighbor but judge your neighbor. Well, I have a judgment to make, and, like Heilman, mine is on the youth of our country. A growing segment of this population seems to have been ignited by the recent school shootings, creating hash tag groups like #guncontrol, and are now in the process of leading their elders in standing up to the radical fringe of the NRA. Their goal is not to take away all guns (yours or mine), but to demand sane firearm control to protect our children in the future. Here’s my judgment: Go kids! 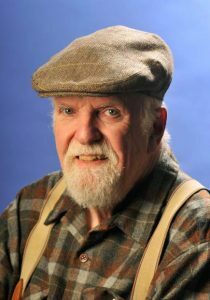 William Larsen lives in Nevada City.